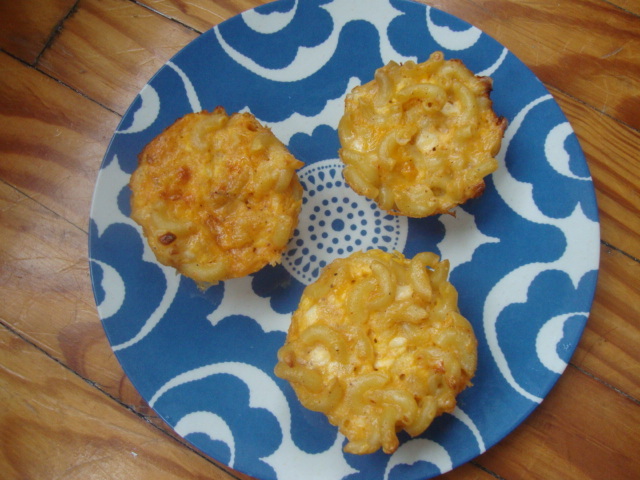 These mac and cheese muffins are rich and cheesy and they pack a bigger protein punch than the originial dish. The cottage cheese lends a great flavor and helps keep a 3 muffin serving under 500 calories. If you decide to skip the muffin tin route and bake this recipe in a casserole dish I would recommend cutting back to two eggs. Preheat your oven to 350 degrees Farenheit. Lightly spray a 12-cup muffin tin with baking spray. In a large pot, cook macaroni al dente according to package directions. Then drain and return to pot. It is best to rinse out the pot with cool water first so that the cooked pasta doesn’t stick. Add the remaining ingredients to the cooked macaroni and stir well to combine. Portion macaroni mixture evenly into the 12 muffin cups. Bake for 30 minutes.